Try this delicious and fresh twist on the traditional taco salad using prawn and mangoes. 1. Mix 1 tablespoon taco seasoning and remaining dressing ingredients in a container with a tight-fitting cover, then shake and set aside. 2. Combine the prawns and remaining taco seasoning mix in a medium bowl and toss together until evenly coated. 3. Heat the oil in a large frying pan and cook the prawns over a medium to high heat, for 3-4 minutes, until cooked and just turning golden. You may need to do this in 2 batches so the prawns crisp and just golden rather than steamed. 4. 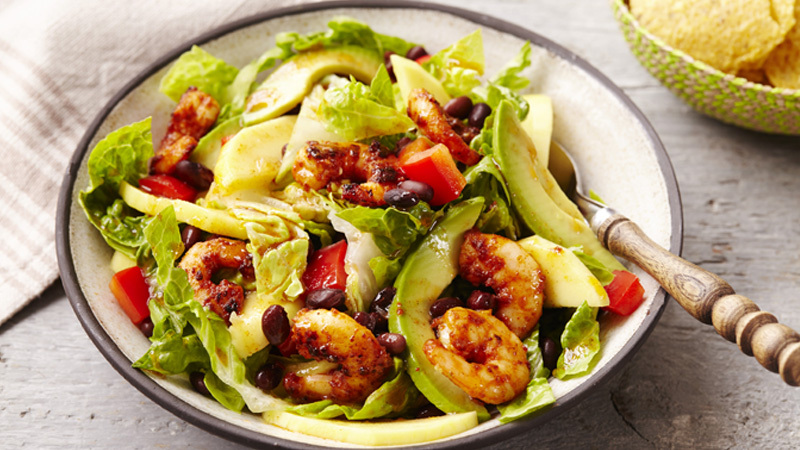 Divide the lettuce between 6 serving plates then top with the prawns, black beans, mango, pepper and avocado. 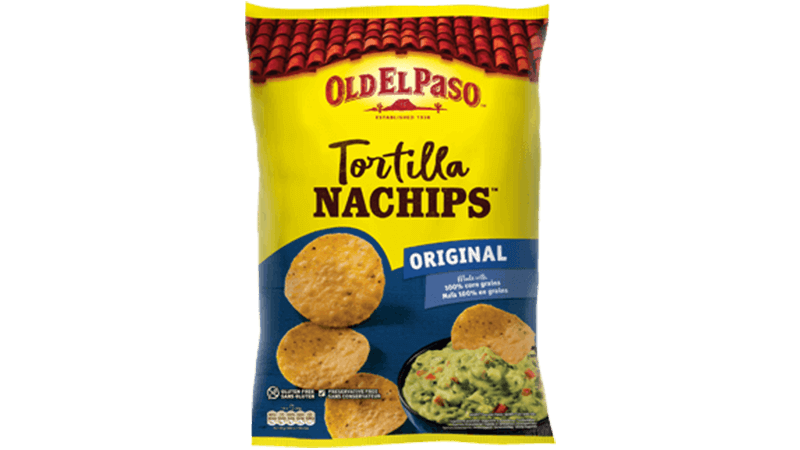 Drizzle with dressing and serve with tortilla chips or Nachips™. Cook the prawns on the bbq for an extra smoked flavour to this salad. Scatter a handful of chopped coriander into the salad for some extra flavour.